This past week, I received the final four World Vision progress reports I was expecting. It’s great to see how these children have grown since last year, and to get a glimpse of them in their communities in Romania. Dragos, 14, is my oldest child with World Vision. He is in seventh grade, and says he wants to be a policeman when he grows up. His family has received beehives and beekeeping materials from World Vision. Andrei is 13 years old and in seventh grade. He writes that he works in the garden with his family, and he has participated in information sessions on health issues and children’s club educational activities through World Vision. Daniel, 14, is in seventh grade and wants to be a football player when he grows up. He has participated in religious celebrations, like Easter and Christmas, and also extracurricular activities through World Vision. Cristian, 5, is the first child I sponsored through World Vision in October 2012. He is in Kindergarten and likes to listen to music with his family. He has participated in information sessions on health issues this year, as well as school/kindergarten competitions. 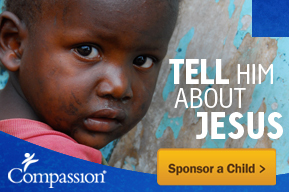 If you are interested in sponsoring a child through World Vision, please click here. This entry was posted in World Vision. I think the progress reports and updated photos that World Vision gives are so neat! I enjoyed hearing about your boys. They are really nice reports. The photo is a real photo, too, and nice quality.